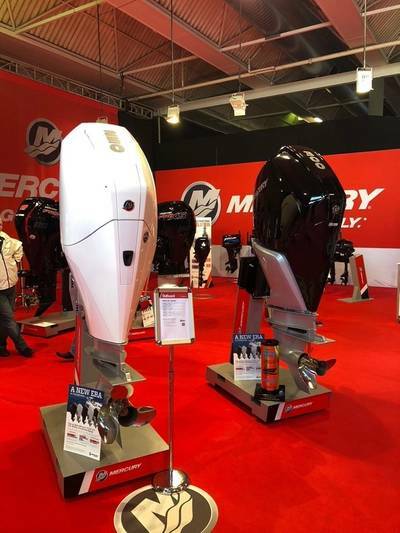 Mercury Marine was awarded the 2018 Most Innovative Product for its all-new V-8 FourStroke outboard family at the Hutchwilco New Zealand Boat Show. Mercury’s new V-6 and V-8 outboard engine launch is the largest in Mercury’s history and are highly configurable to meet the needs of a wide variety of boating segments, from Verado’s refined performance, to the FourStroke’s fuel efficiency and rigging versatility, to the competitive edge that Pro XS provides serious sport fishermen. Along with the 3.4L V-6 family released in February, the new V-8 engines fill out Mercury’s industry leading portfolio in the 175-300hp range.